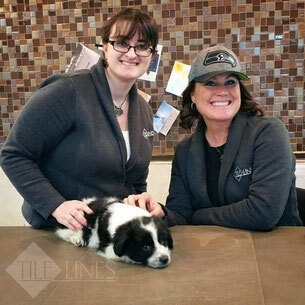 Tile Lines employees Katy and Heidi love it when customers bring puppies into the store. 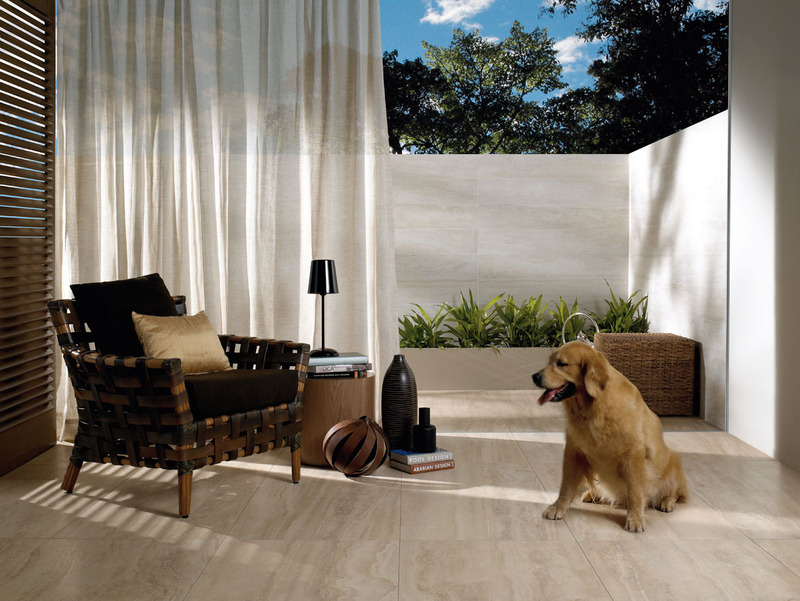 Porcelain tile is the peak of durability for your floor, and the perfect choice if you have pets. 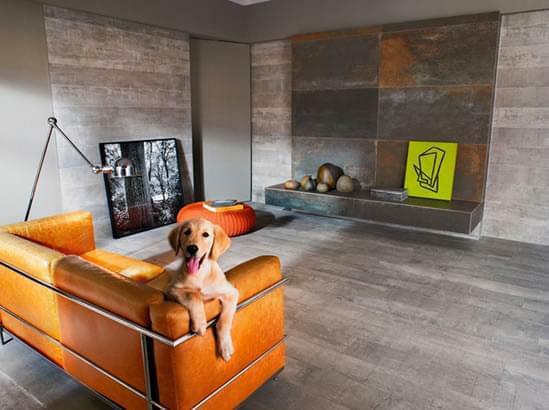 Porcelain tiles are fired in very high temperatures and pressed under thousands of pounds of pressure, making them very dense with low porosity and hard to damage. These low-maintenance tiles come in thousands of color and looks to complement any design style. If you have pets, here are 6 reasons why you should consider tile! Before we go further... if I get tile, won't I need grout? I don't like grout! Even white grout is safe from stains if it's made with the latest stain-resistant technology! 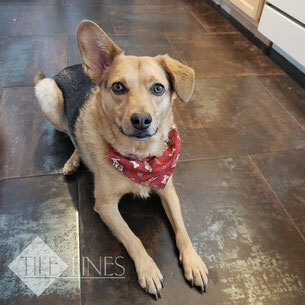 Grout has long been the weakest and most miserable part of a tile installation, and most folks have had bad experiences with dirty, cracking, stained grout lines. The latest technology is here to save the day! When installed, the current generation of premixed grouts are stain-resistant, crack-resistant, and don't need to be sealed. 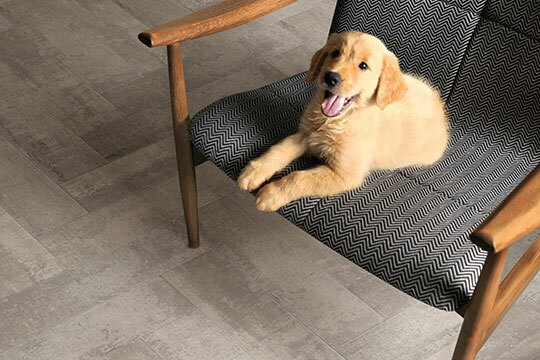 Pair a porcelain tile with a no-seal grout and you've created an easy-to-clean floor. Dust, dirt, and pet hair sits on the top for easy removal, instead of getting ground into carpet or falling into cracks in wood planks or linoleum. Liquids can be wiped off easily. If they've had a chance to dry into a sticky mess, just add some hot water: it will loosen the spill and come up with hardly any scrubbing. If your cat coughs a hairball onto the hardwood, the acidity could strip the finish and discolor it. 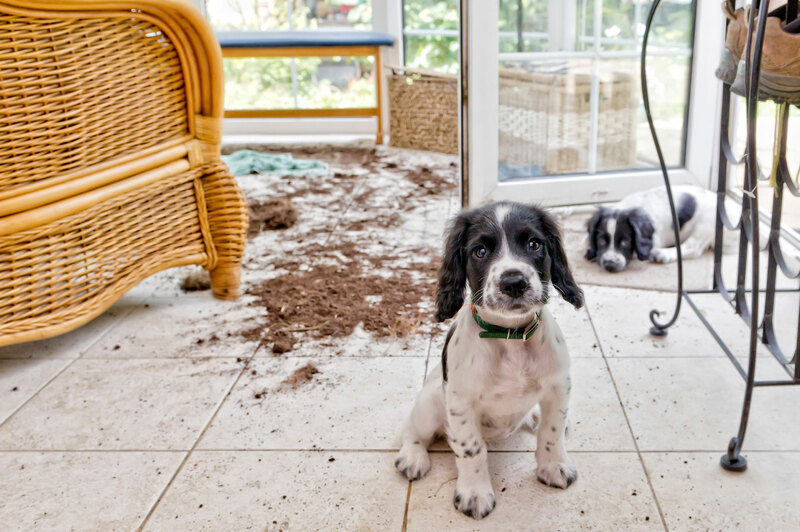 If your puppy has an accident on the carpet, it could sink into the fibers and carpet pad and leave lingering odors for years to come. However, if your pet makes a mess on chemical-resistant porcelain tile floors, it stays on the surface and won't damage or discolor them. If you used a no-seal grout, even your grout lines are safe from stains and smells. Clean up is easy and there are no lasting effects. Just think of what I could do to this carpet. If you have playful puppies or skittish kitties, your wood floors and carpets may be in danger. Since wood is a softer material, many a pet owner has had to refinish wood floors because of the damage from claws. Now, consider your carpets. I can't be the only pet-owner to come home and find a bored dog who's chewed up the Berber carpet, or a mischievous cat who's used it as a scratching post. Meanwhile, on the MOHS hardness scale, a scratch test where 1 is talc and 10 is diamond, most porcelain tiles are between 7 and 9. 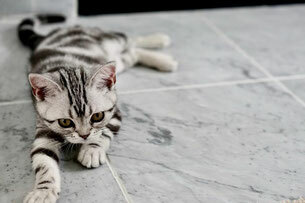 Your pets would need titanium toes to scratch porcelain tile! I'm what they call a "low rider". Several flooring materials, including vinyl and carpet, can release harmful chemicals into the air for months or years after they're installed. The finish on wood floors can include polyurethane. Lower quality wood floors and laminates can contain unsafe levels of formaldehyde. For comparison, what does porcelain tile contain? Clean, inert baked clay. As safe for your air quality as porcelain plates or ceramic tea cups. Tile is glued down with cement-based thinset which, aside from some dust during installation, is clean and doesn't affect air quality. 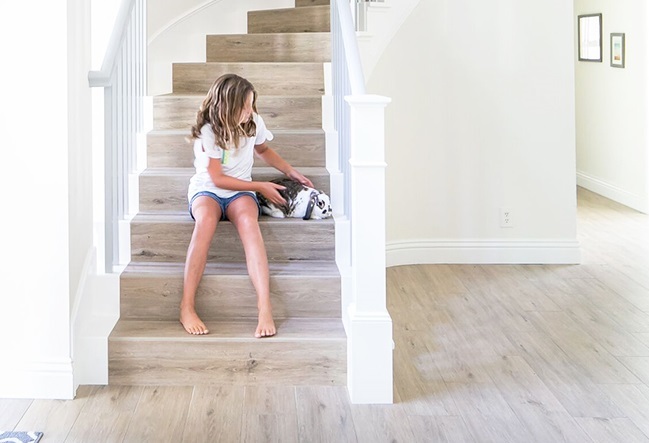 Since our pets live closer to the floor than we do, having a safe flooring type is paramount to their health and well-being. You wouldn't BELIEVE how much I shed. If you're like me, seeing every single hair or speck of dust on the floor is aggravating. 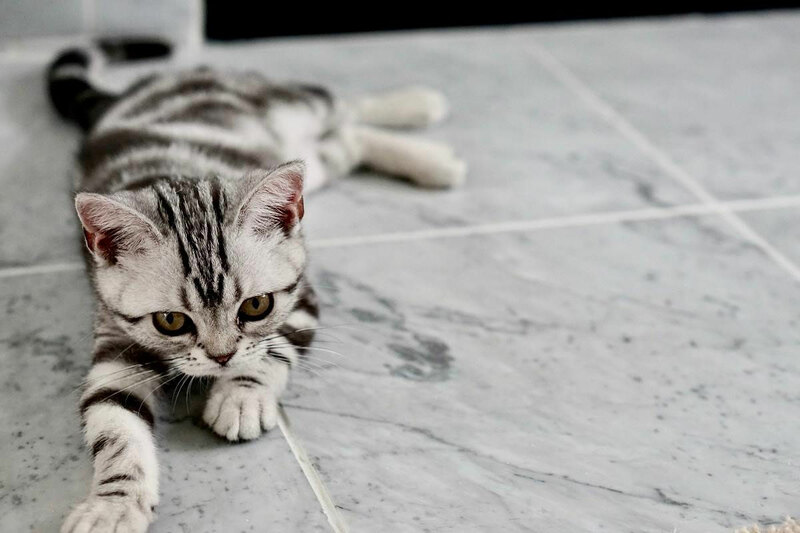 Fortunately, porcelain tiles come in thousands of different designs and colors, many of which are excellent for concealing stray hairs and the occasional paw print. 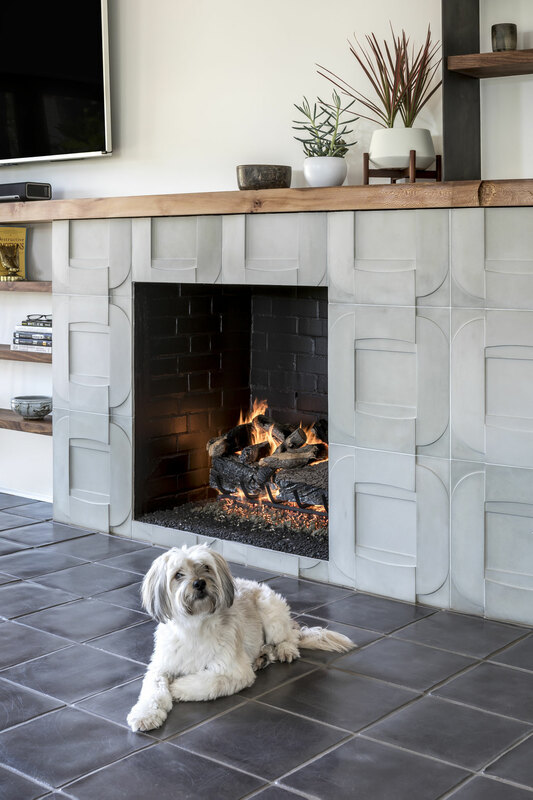 Warm neutrals, tiles that mimic the veining of natural stone or the patina of aged metals, swirls or stripes and patterns galore will help you hide pet hair. 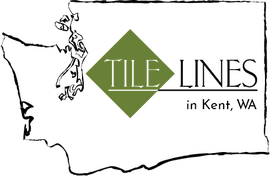 We have tiles for you too! 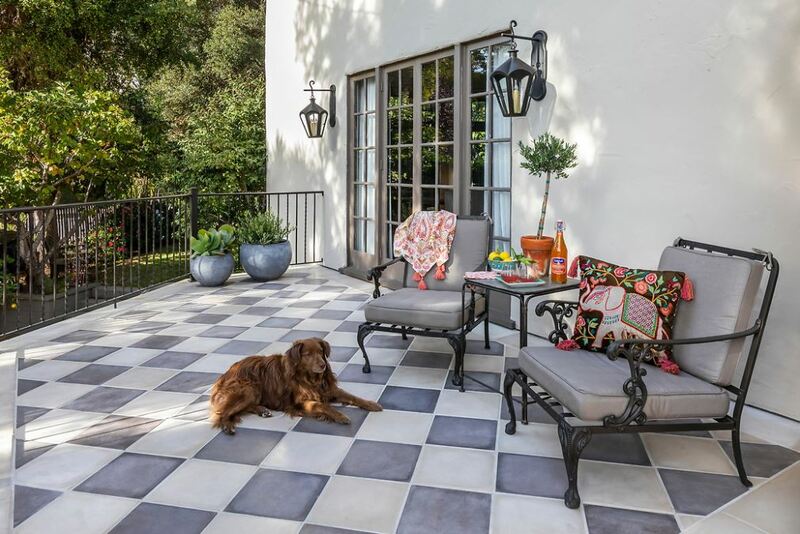 Porcelain tiles can be solid colored or have only the faintest patterning if you want an immaculate floor. 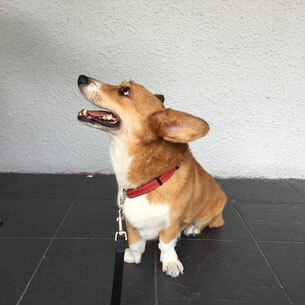 For a furry friend, summer can be miserable; it's hot outside and you're wearing a fur coat! 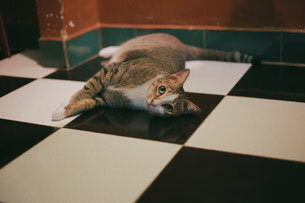 Fortunately, finding a shady spot on tile is a great way to stay cool in the summer months. 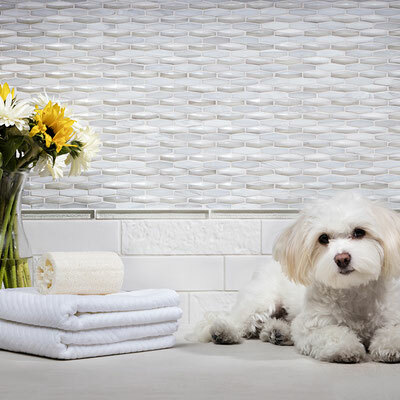 Tile's dense, smooth surface absorbs heat, wicking away your pet's discomfort. Ditra Heat is our preferred in-floor heat system. This cat seems to like it, too. 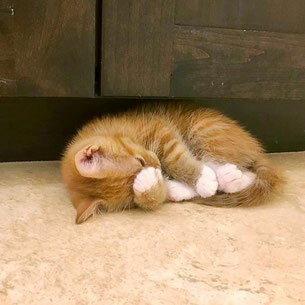 One of the main complaints about tile is that it’s cold to the touch. 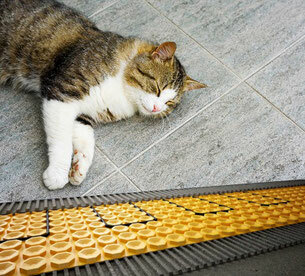 Underfloor heating is an energy-efficient solution to frigid floors. You can use it to warm just specific sections of floor, or to heat the entire room... either way, your pets will love it. Bonus: Like the look of wood floors? 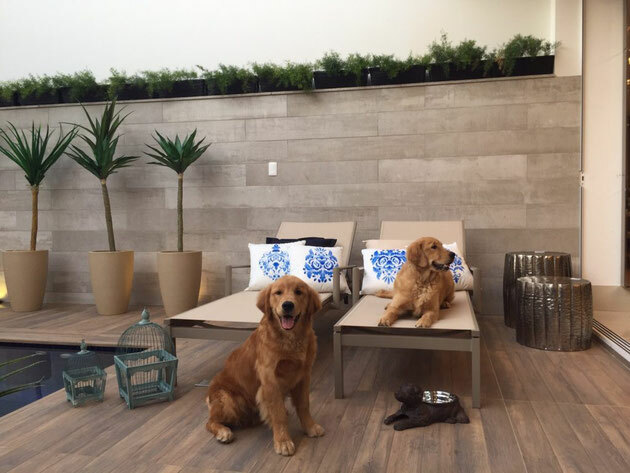 With porcelain tiles that look like wood on the patio and walls, keeping this area clean is a breeze! Porcelain tiles that look like wood are the perfect alternative for pet owners who like the look of wood but not the maintenance. 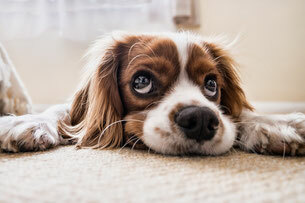 No refinishing after your dogs scratch up the hardwood, or after your puppy has an accident and discolors the finish. If your pet tips over their water bowl, you don't have to worry about warped and damaged wood. The durability of porcelain + the look of wood... the best of both worlds!